Fusion granite is quarried in Brazil. It is an incredibly complex stone that combines a variety of whites, greys, and browns. This granite has the highest level of variation within any type of granite. There are three main colors, but no two slabs will ever be alike. When you have your granite countertop installation so you will be able to see the variances, some slight and some different. The first main color is grey, ranging in color from very light grey to a medium grey. Some greys can even be found with some deep navy variations. The grey will have many different bands or waves of grey color throughout the slab. The second main color is brown. The tones will vary considerably with areas in light creamy brown, golden brown, rusty brown and dark chocolate brown. Most slabs will have all of these tones of browns in wavy flowing patterns, but the variations will be in which shade of brown will be more prevalent. The last main color is an off white color with wavy lines and patterns in varying tones. 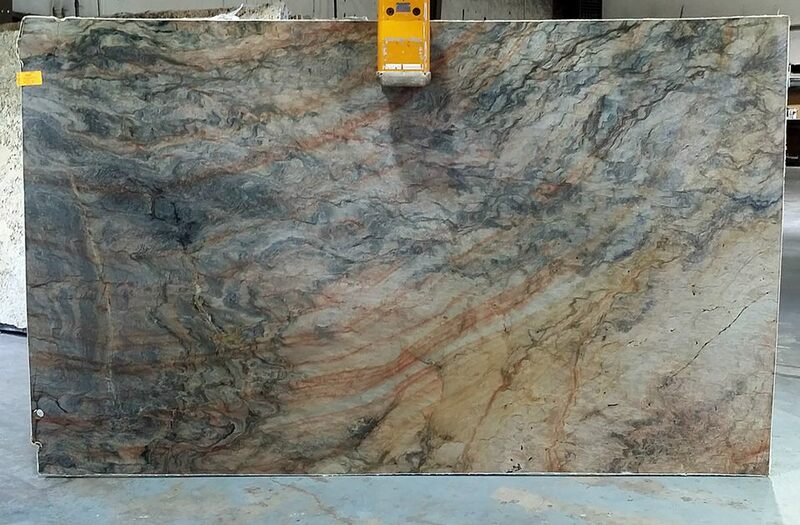 Fusion granite will have all of the main colors in it, but the amount and natural designs in it will be different. Fusion granite will dominate any room, so make sure that you don’t have other strong patterns in the area. You can pair it with either dark or light cabinets; just about every cabinet color or stain will blend with it. Whether you need granite countertops Atlanta or granite Norcross GA, GCW can take care of your countertop needs. Fusion granite is available in a limited inventory and at a very affordable price, so be sure to call or stop by to Reserve a Slab.